Mosquitoes. 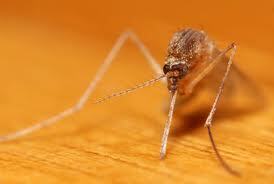 The word Mosquito is from the Spanish and Portuguese for little fly. Superficially, mosquitoes resemble crane and chironomid flies.Male mosquitoes beat their wings between 450 and 600 times per second. Typically both male and female mosquitoes feed on nectar and plant juices, but in many species the mouth-parts of the females are adapted for piercing the skin of animal hosts and sucking their blood. In many species the female needs to obtain nutrients from a "blood meal" before she can produce eggs, whereas in many other species she can produce more eggs if she can obtain a blood meal. Both plant materials and blood are useful sources of energy in the form of sugars, and blood also supplies more concentrated nutrients such as fats, but the most important function of blood meals is to obtain proteins as materials for egg production. In most species, the males form large swarms, usually around dusk, and the females fly into the swarms to mate. Males typically live for about a week, feeding on nectar and other sources of sugar. After obtaining a full blood meal, the female will rest for a few days while the blood is digested and eggs are developed. This process depends on the temperature but usually takes 2–3 days in tropical conditions. Once the eggs are fully developed, the female lays them and resumes host seeking. With regard to host location, female mosquitoes hunt their blood host by detecting organic substances such as carbon dioxide (CO2) and 1-octen-3-ol produced from the host and through optical recognition. Mosquitoes prefer some people over others. The preferred victim's sweat simply smells better than others because of the proportions of the carbon dioxide, octenol and other compounds that make up body odor. Mosquitoes are a vector agent that carries disease-causing viruses and parasites from person to person without exhibiting symptoms themselves. 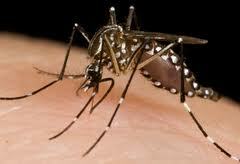 The principal mosquito borne diseases are the viral diseases yellow fever, dengue fever, Chikungunya and malaria. 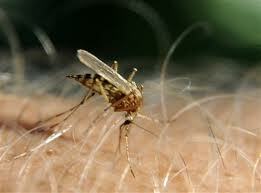 Though originally a public health concern, HIV is now thought to be almost impossible for mosquitoes to transmit.